If you are looking for updated listings of foreclosed properties from Luzon Development Bank (LDB), this is it! This list contains more than two hundred (200) properties located all over Luzon, and this includes foreclosed properties in Metro Manila. These foreclosed properties are for negotiated sale, no need to go through a public auction. Although I am stating the obvious, all prices are negotiable. Interested buyers only need to submit their offers. Minimum downpayment is 30% which can be split into 2 to 3 payments. The balance is payable from 5 to 10 years, at 10 to 12% annual interest rates, depending on the payment term. 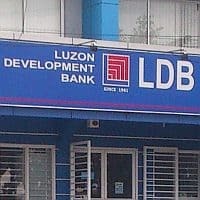 A lot of commercial foreclosed properties from Luzon Development Bank will also be announced soon so don’t forget to subscribe and be notified once this list becomes available. Disclaimer: Selling prices are subject to change without prior notice. Misprints may occur. As always, our standard site disclaimer applies.